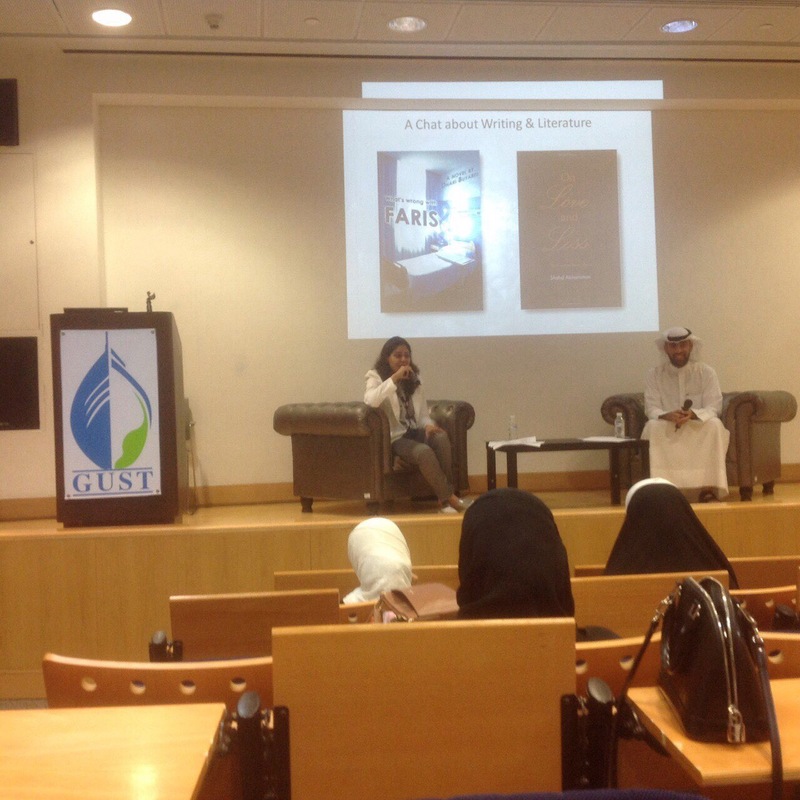 I recently gave a talk at the Gulf University for Science and Technology (GUST). 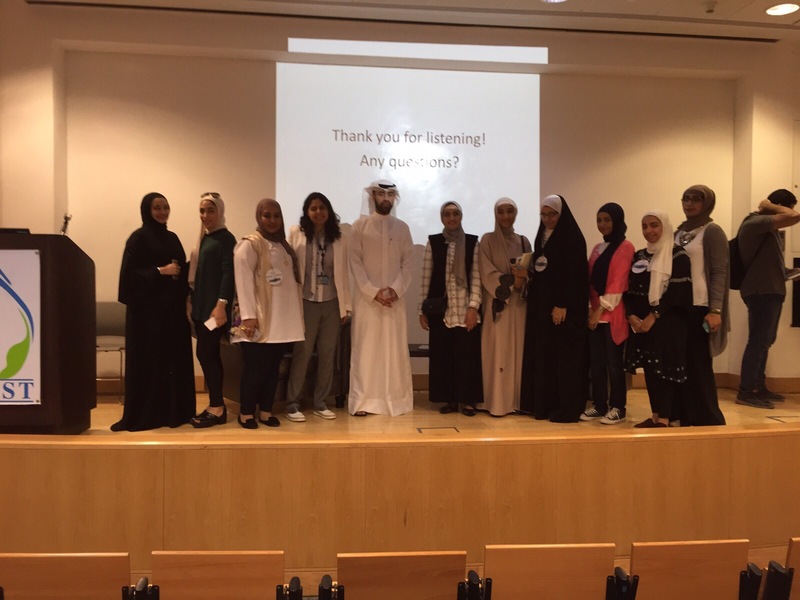 The talk was mainly aimed at fostering a love for writing and literature. I spoke about my personal experience with writing poetry, and I interviewed an old colleague and friend of mine, Dhari Buyabes. Dhari has written a novel, and we discussed the significance of writing in English, and how we both dealt with the experience of writing in English as non-native speakers. The audience was very receptive and I really enjoyed the conversation with the students. I was very happy to see that many Kuwaitis are interested in writing in English, not just Arabic, and that it is no longer viewed as a betrayal of the mother tongue. We also spoke about the healing power of literature and writing, and how writing can be very therapeutic. I love talks like this, talks that aim to inform, educate, and also simply allow us to connect to one another. As always, I am blessed to be an academic! This October, for the first time ever, I gave a talk that was both personal and academic. I was asked to speak at an event in Kuwait, by a group called Hikma. Hikma talks are a bit similar to TED talks, and they are meant to be informative, personal, and raise important social issues. I was initially supposed to be discussing Shakespeare and how I teach his work in Kuwait. But, because I was recovering from an MS relapse, and I was using a cane, I had to tell the Hikma group a bit about my personal background, and why I was using the cane. Before I knew it, they asked me whether I would tell this story to the audience. I was very hesitant, and I was not sure if I wanted to tell strangers all about me. I didn’t want to sound like I was inspiring, motivational, or even successful. I didn’t want the talk to be all about “me, me, me.” So I hesitated. And I thought about it for days. I wondered if I had anything to say, and whether people actually cared to hear it. I decided to approach the topic both personally and academically, explaining my journey through academia and with Multiple Sclerosis. I gave the talk, starting with “I am not here to inspire or motivate you.” I really didn’t want people to think this was a success story or a sob story. So I talked about how we all have choices in life, and I linked that to the study of literature and the humanities. We all have a choice, to be either a hero, villain or a victim. We make choices every day. I choose to be where I am today. I choose to get out of bed every morning. Bad circumstances happen. Life is random and there is no equation you can follow. There are no guarantees. Those who look for logic in a life that does not offer any answers still don’t have it figured out. There is no answer, and there is no one way of living, or one truth. We find this both in literary works and in life. 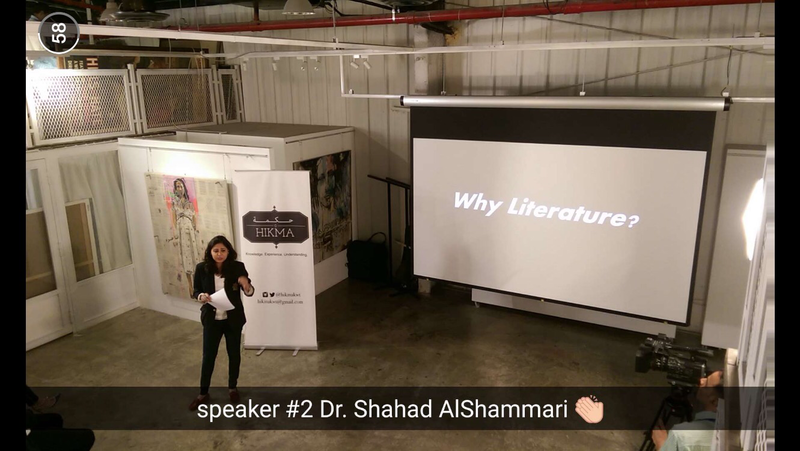 The humanities and literature saved my life, and that is what I said during my talk. I wasn’t exaggerating. Literature gave me purpose and meaning. I was able to learn how to accept imperfections, flaws, and make sense of a world that was chaotic. I learned how to deal with myself, my body, my identity, and others. Any other. Any other that was “different” by society’s standards. In literature, “others” usually find a home. Literature gave me a psychological home, and through it, I was slowly able to accept loss, pain, chaos, and also attempt to help others find the same comfort. I spoke about my experience teaching literature to undergraduates, and how we always have lively discussions in class. Literature connects us across boundaries, borders, and time. We learn to speak without shame, and there is always an open dialogue. The event was successful, and I was approached by many lovely people. Everyone thanked me for speaking so openly. One woman said she could relate, because she suffers from mental health issues. Another said that her sister also suffered from a disability and was ashamed of her body. I met so many wonderful people that night. And I felt as though I had finally managed to stand up in front of a huge audience and speak about what matters the most to me. I didn’t think I could do it. I was a nervous wreck before the talk, and I felt as though I wasn’t ready. But the truth is, as with everything great, sometimes you’ll feel like you can never be ready. And maybe it just takes that jump. You just jump. I had to. And as always, no regrets, no regrets. The talk will be available on YouTube with Arabic subtitles. For now, this is a tiny clip of it and some photos. This remains one of my favorite lines by Morrison. History is good, but everyone needs a tomorrow.